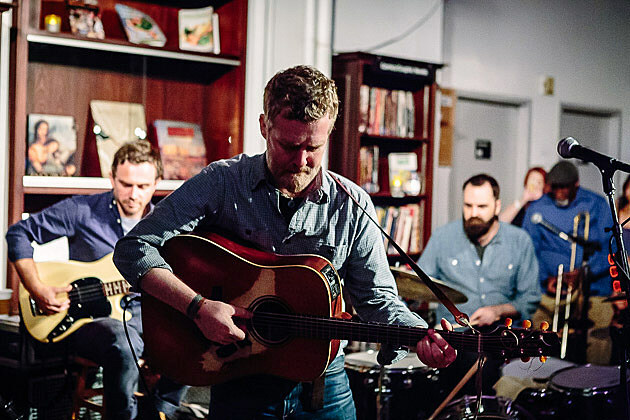 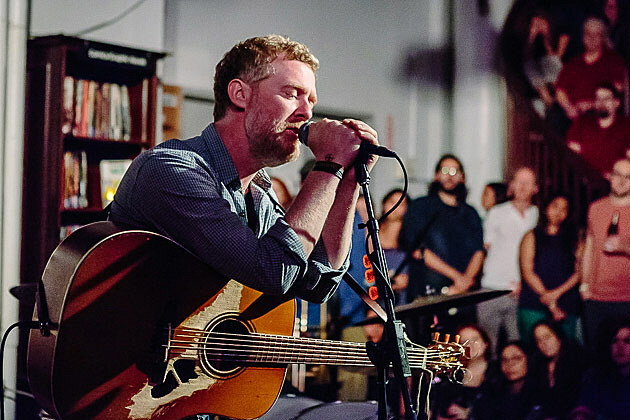 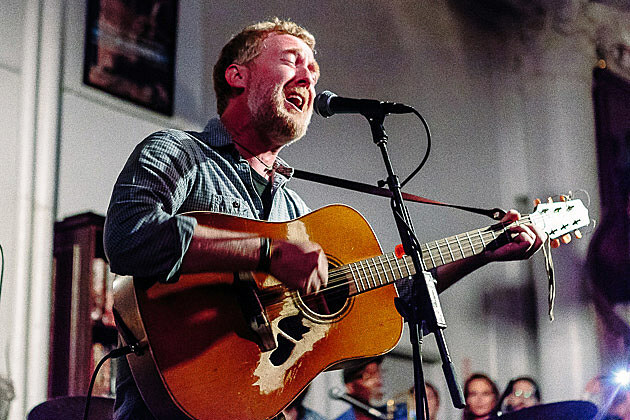 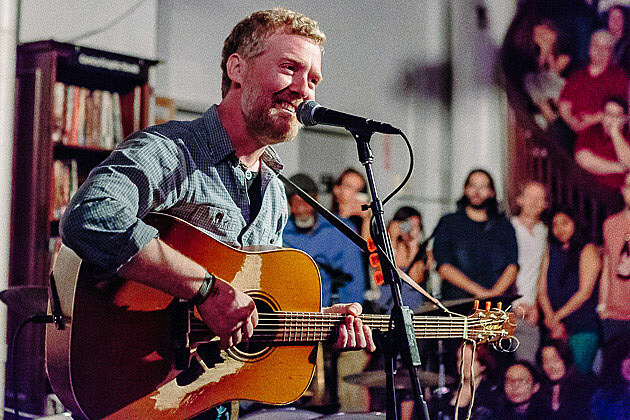 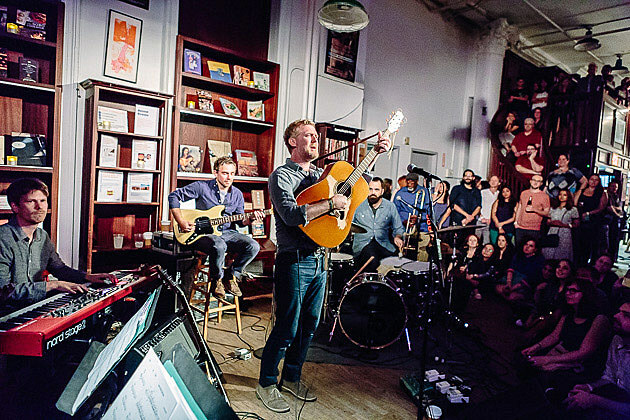 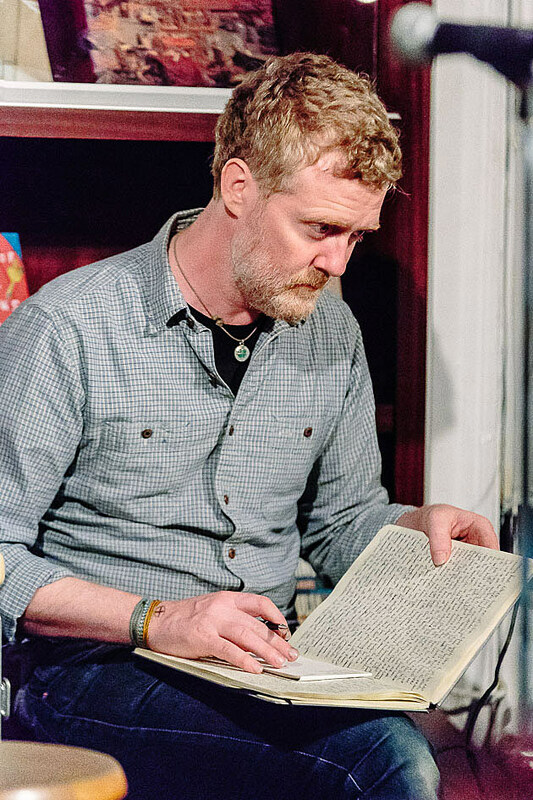 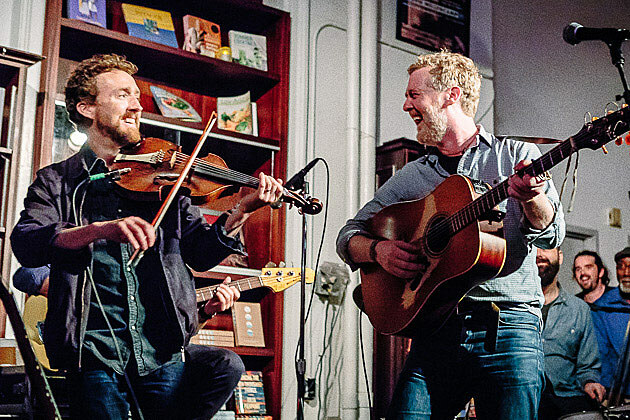 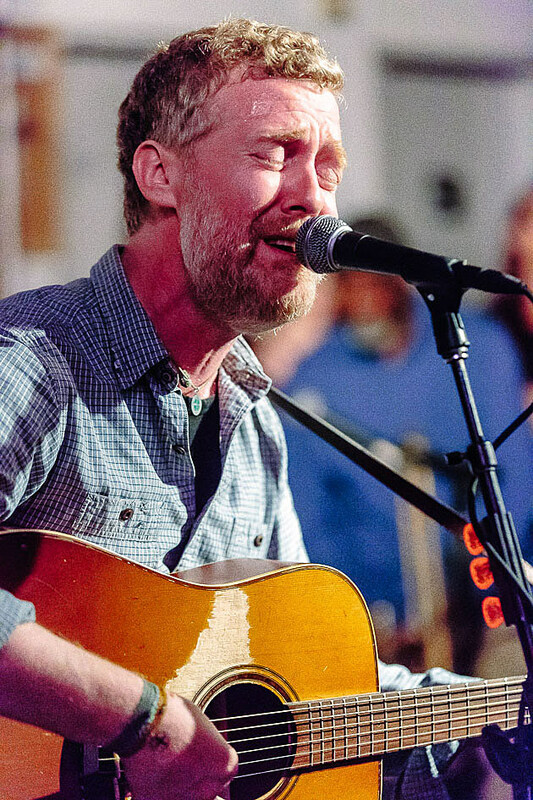 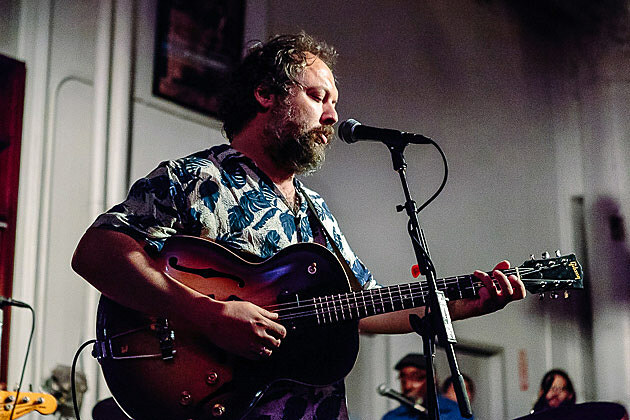 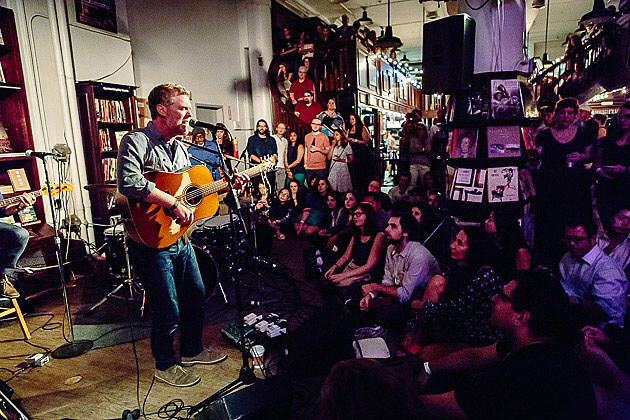 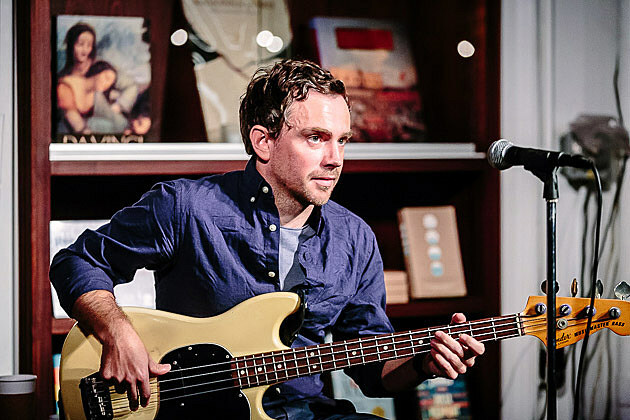 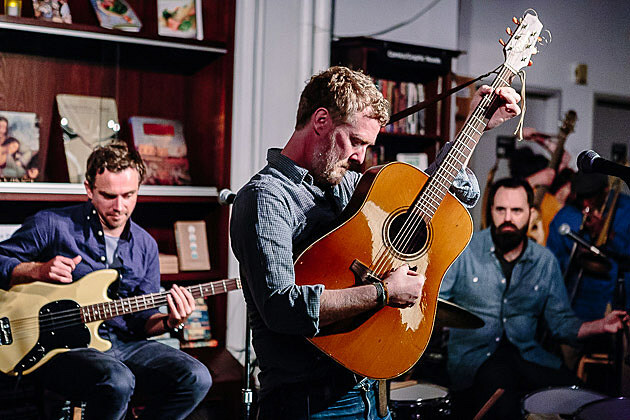 The Frames / The Swell Season’s Glen Hansard releases his new album Didn’t He Ramble today (9/18) on ANTI-, and ahead of that he celebrated with a midnight pop-up show at NYC’s Housing Works on Wednesday (so technically Thursday, 9/17). 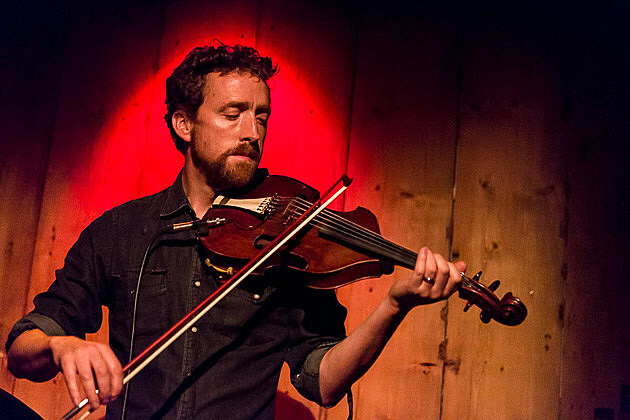 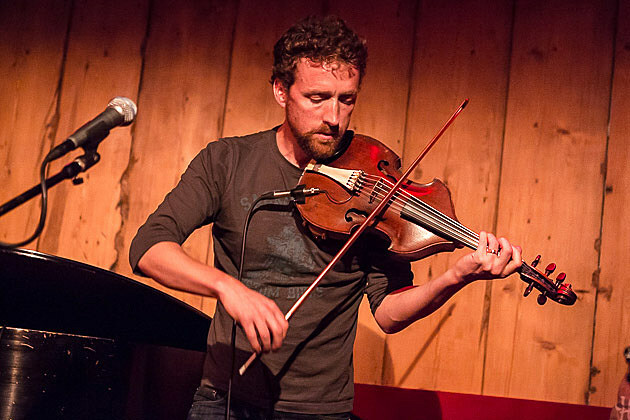 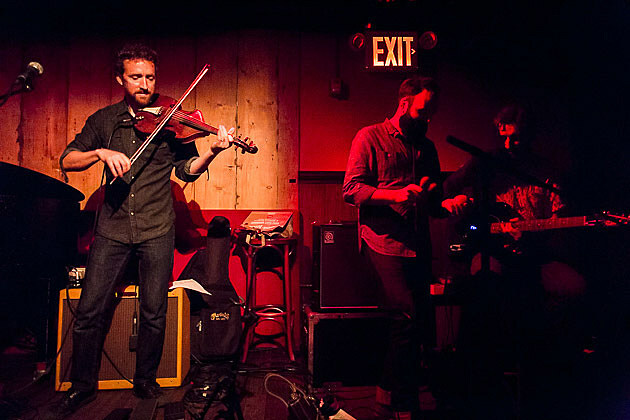 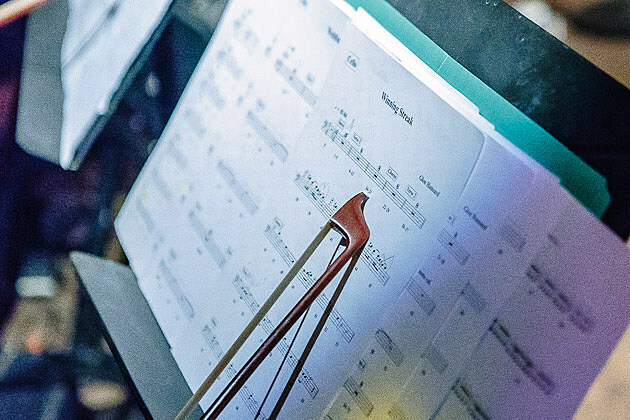 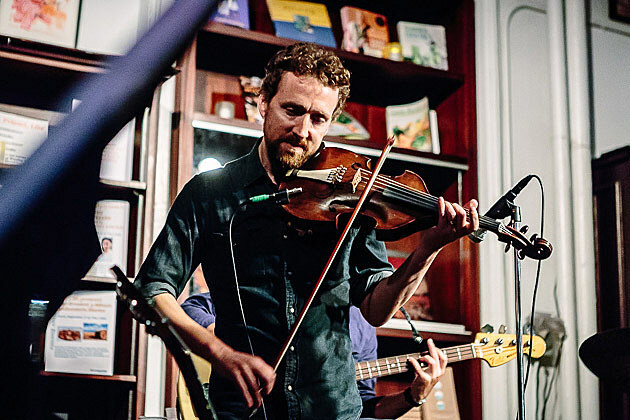 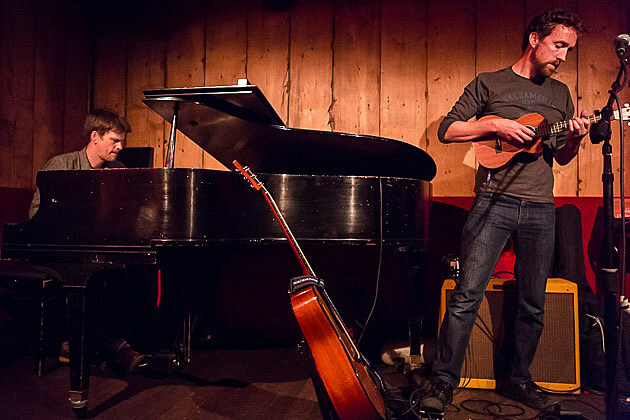 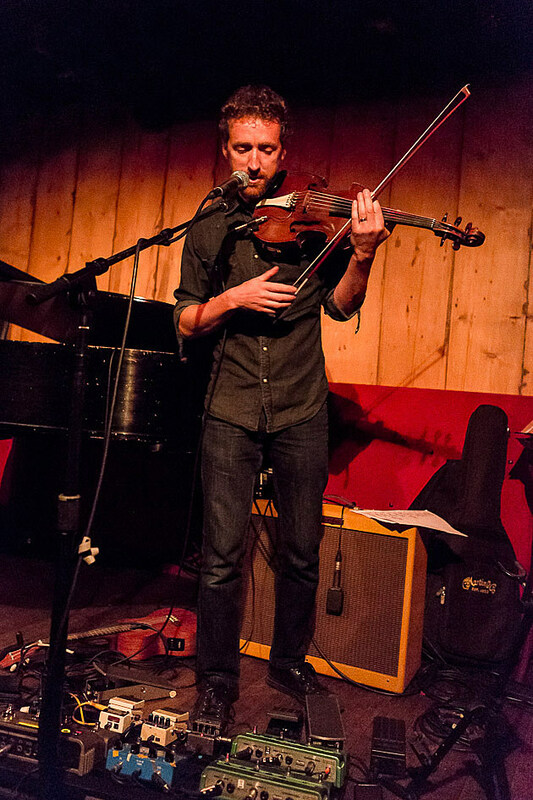 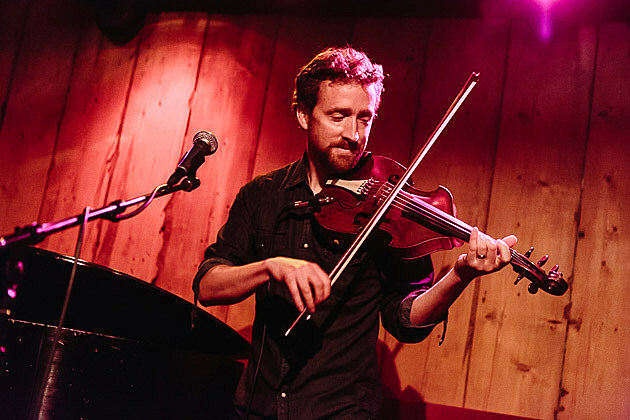 Before his show though, another Frames member, violinist, Colm Mac Con Iomaire, was making his debut US solo performance at NYC’s Rockwood Music Hall (stage 3). 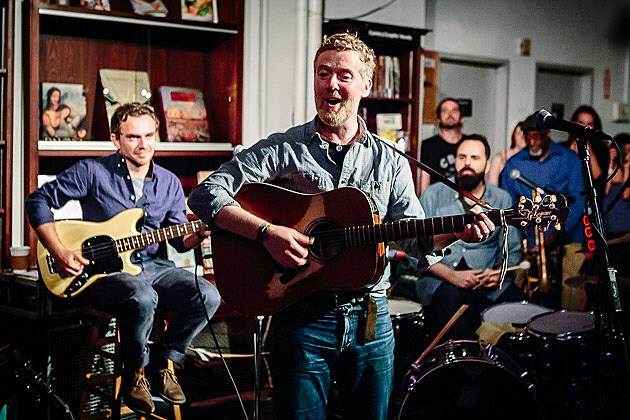 Frames drummer Graham Hopkins guested on a few tracks, and apparently Hansard was somewhere in the house, though we didn’t see him. 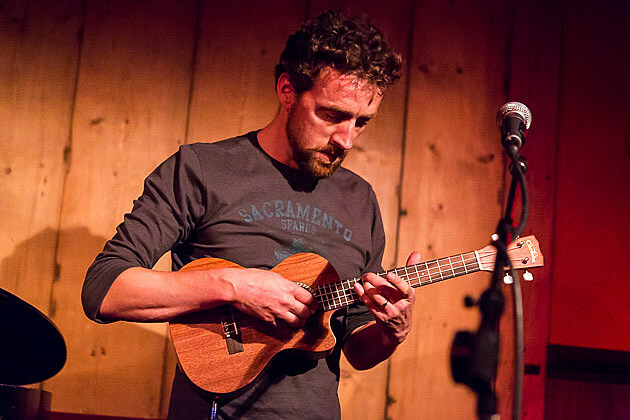 Iomaire played a lovely set of tunes that included the lead single from his second album, this year’s And Now The Weather (Agus Anois An Aimsir), “The Finnish Line” as well as a song inspired by the passing of a family member, “In the Arms of the Angels” and one based on a forty minute long poem, “Sappho’s Daughter”. 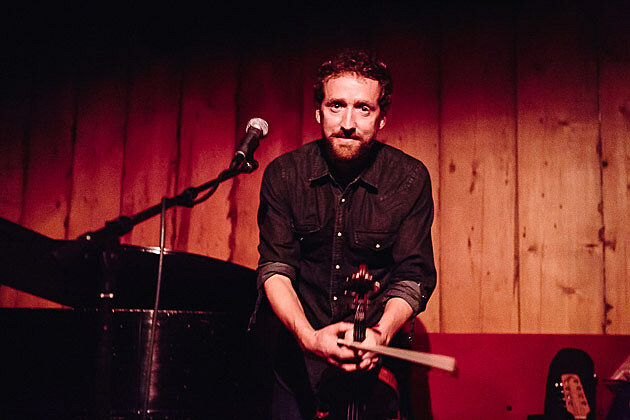 While switching up instruments, Iomaire knocked over a guitar stand, and laughed it off by saying that would be about as “rock and roll” as his show was going to get. 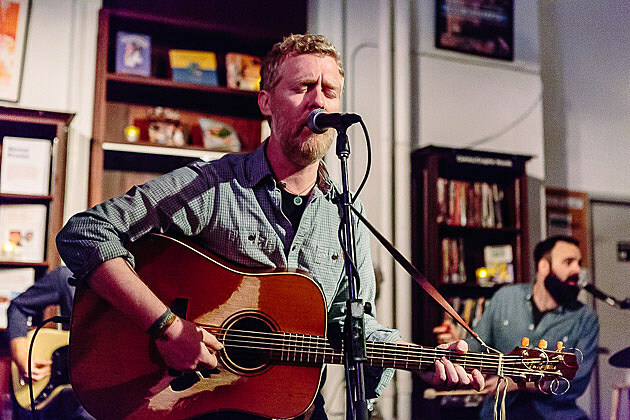 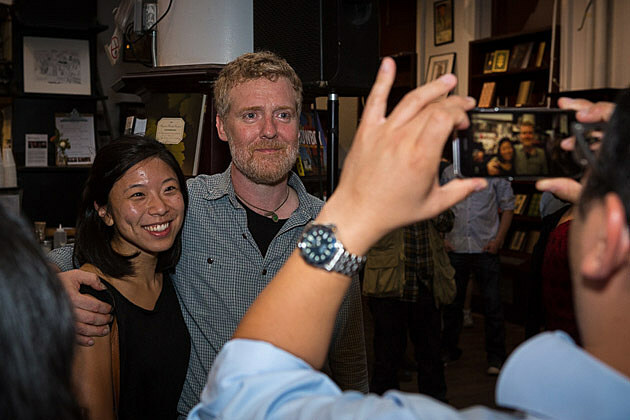 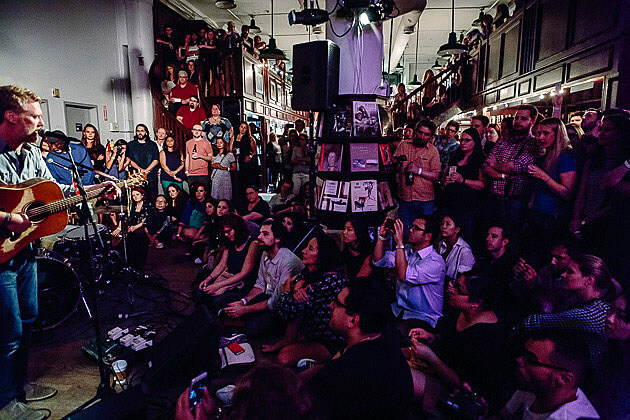 Then at midnight, the whole crew went over to Housing Works for Glen Hansard’s show. 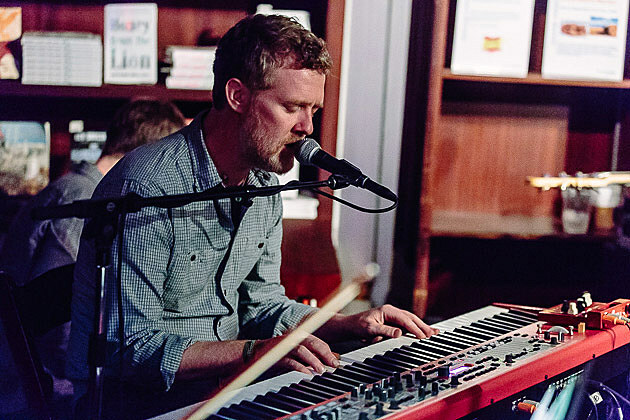 Hopkins backed Hansard at this one too, as did keyboardist Justin Carroll (who also played with Colm Mac Con Iomaire earlier). 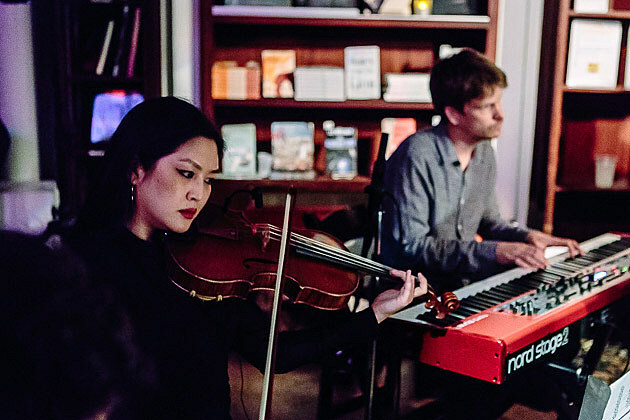 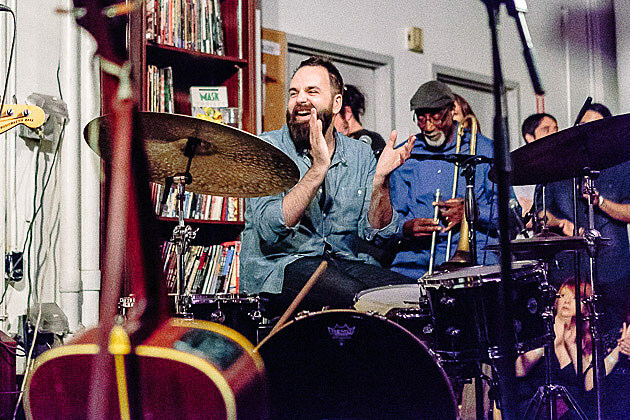 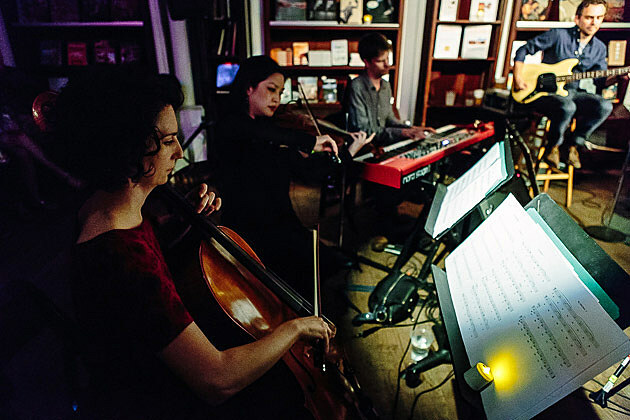 The rest of the band included Jeanie Lim on viola, Simone Vitucci on cello, Curtis Fowlkes on trombone and Joe Doyle on bass. 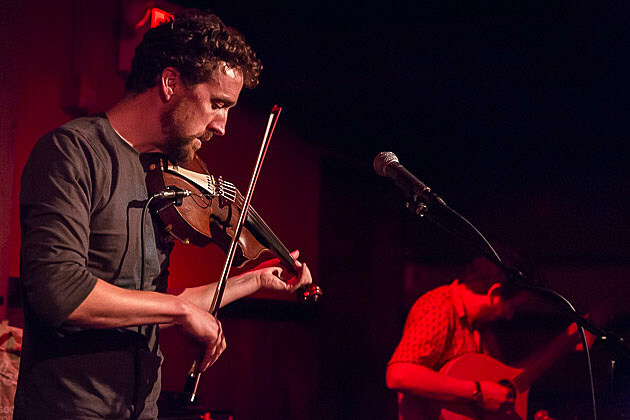 Iomaire joined them mid-set, as did August Wells and Brendan O’Shea, to sing a couple songs and build upon the familial vibe. 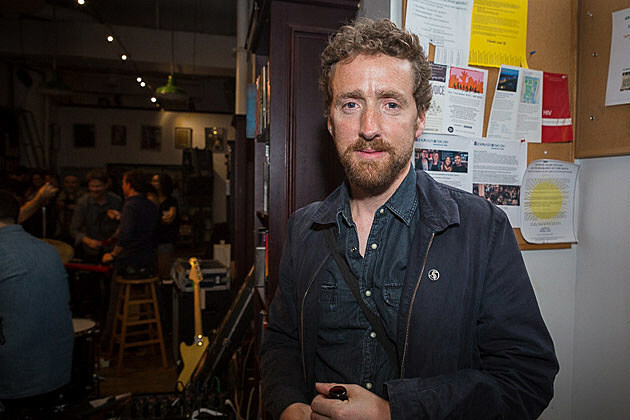 Hansard’s set was Ramble heavy but he did include The Frames’ “Revelate” and The Swell Season’s “When Your Mind’s Made Up” (with Iomaire). 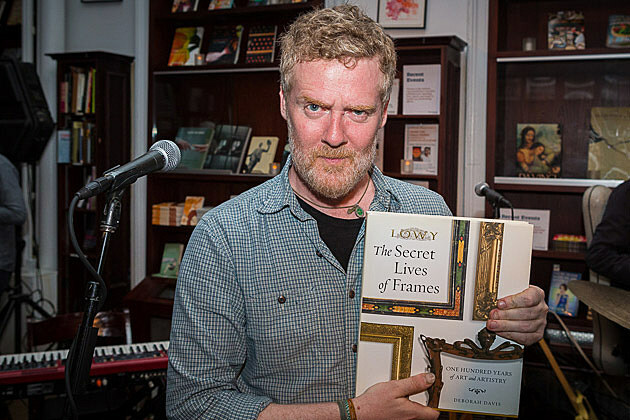 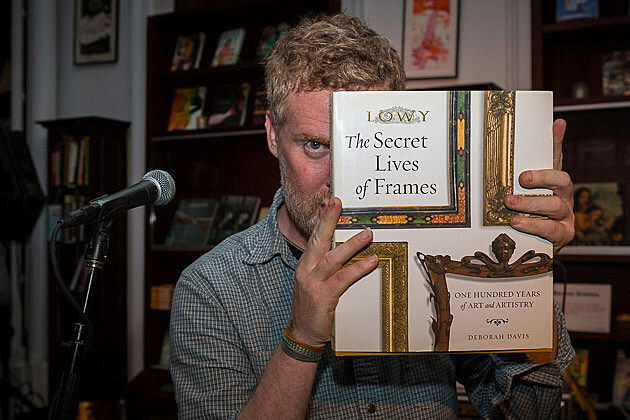 Hansard at one point noticed a book called ‘The Secret Life of Frames’ was placed on a pillar facing his microphone and joked someone at Housing Works deliberately left it there, so he would buy it. 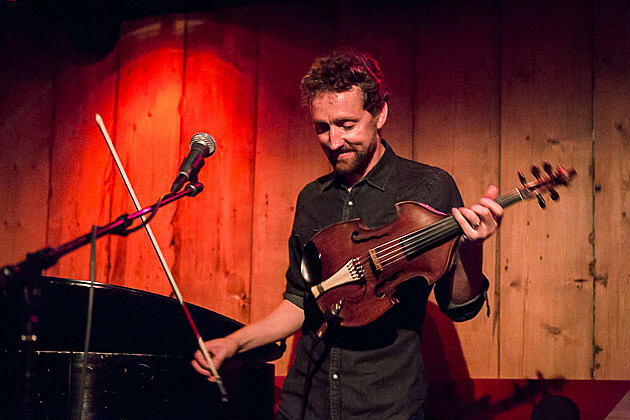 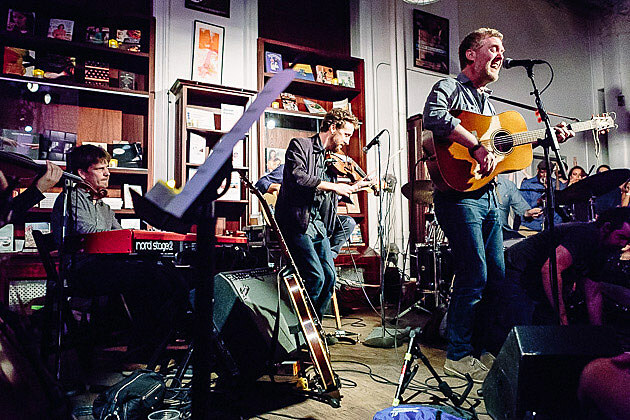 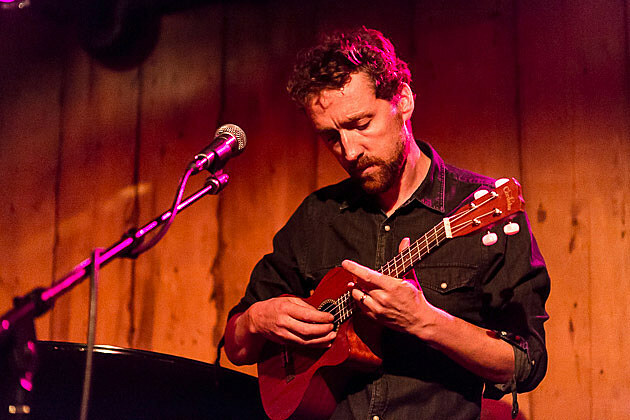 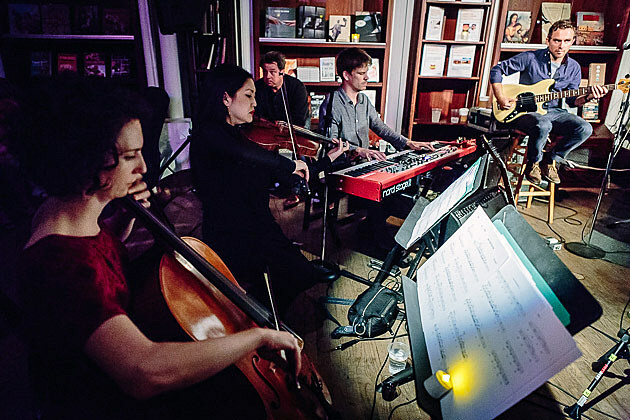 Colm Mac Con Iomaire plays another NYC show on Sunday (9/20) at the Scratcher Cafe (209 E 5th St). 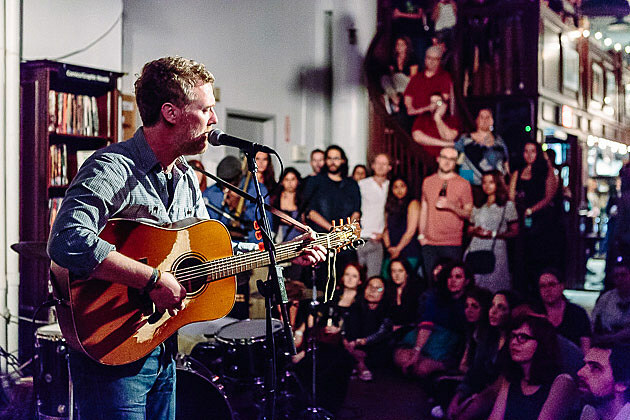 That starts at 8:15 PM. 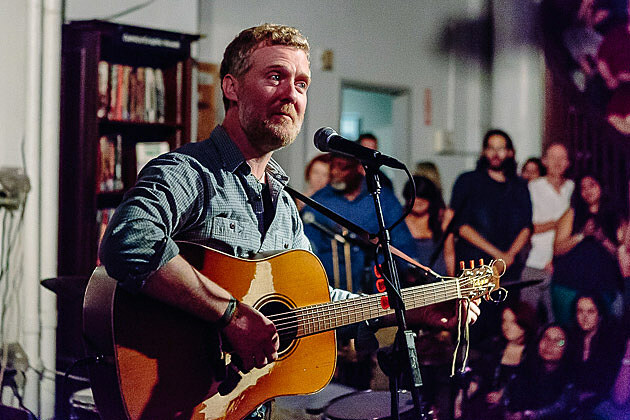 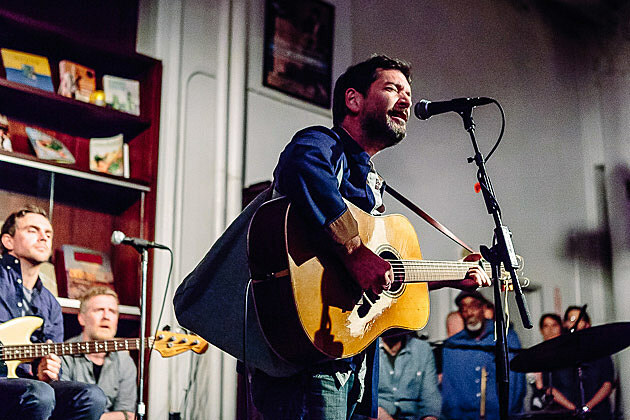 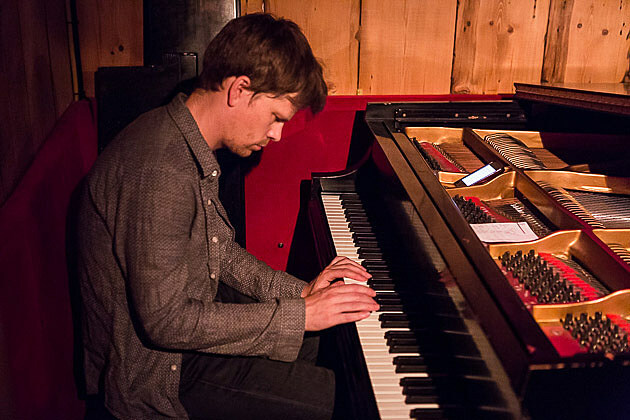 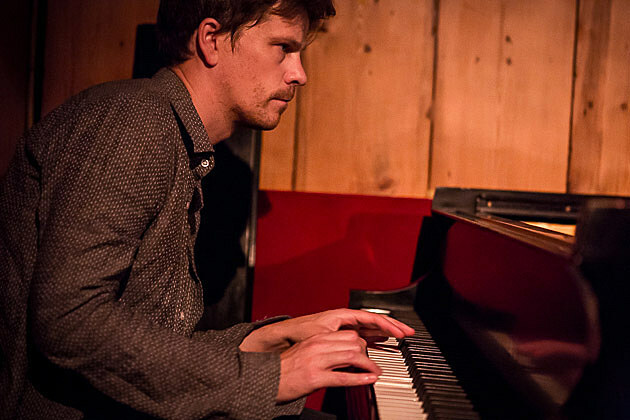 Glen’s tour brings him back to NYC on 11/30 at Kings Theatre and 12/1 at Beacon Theatre (tickets).